Need to Release Equity from your Home? With most decisions in life there are always positives and negatives. DMFS commitment is to provide equity release advice tailored to the individual requirements of our clients. DMFS will always put your needs first. 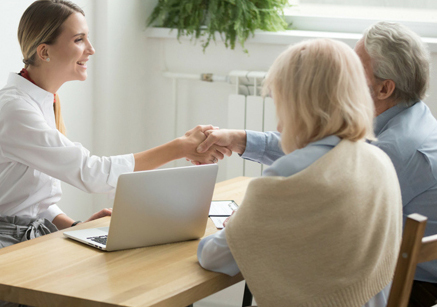 Our clients always have the option to involve their family in the entire process so the impacts of equity release can be discussed with everyone. Equity release is not always suitable for everyone. We will explain to you and your family or close friends if we feel that equity release is not the right option for you. You can continue to live in your own home, for the rest of your life or until you move into permanent residential care. The ‘no-negative equity guarantee’ means that you will never have to repay more than the value of your home and your beneficiaries are not left with any debt. The tax-free cash that you release can be used for anything legal you like from home improvements, clearing debt, or helping family and loved ones. You have the option to make some repayments, if appropriate with some of the plans we can advise on. The flexibility of current equity release plans means that you can release the money as a lump sum, or a lump sum with a drawdown facility. The value of your estate will reduce which in turn will reduce the inheritance you can leave to your loved ones. Your entitlement to certain state benefits can also be affected. If you wish to repay the plan early there may be financial penalties in doing so. Lifetime mortgages are paid back with compounded interest meaning that over the term the amount you owe can grow quite quickly (however, there are products available that allow interest payments). You should always consider the alternatives. Equity release is just one possible option.